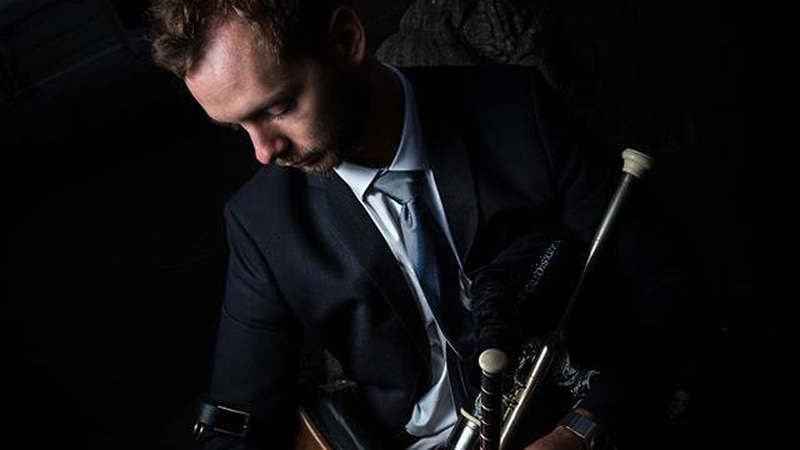 Austrian pipes and flutes player, Géza Frank discovered his love for Celtic music at the age of twelve and he began traveling frequently to Scotland to study the Scottish highland bagpipes. He became the first ever Austrian Piping Champion at the biannual Austrian Piping Championships in Bad Goisern. Géza studied at the Irish World Academy in Limerick completing a BA in Irish Music and Dance between 2008-2012 during which time he was taught by some of the most influential musicians in Irish music. Upon graduating with honours, Géza was invited to join star piper Carlos Núnez on an extended tour of Germany and Switzerland. 2013 saw Géza feature as uilleann pipes and whistles soloist at the Wiener Konzerthaus with the Vienna Radio Symphony Orchestra for a special Hollywood in Vienna gala in honour of celebrated film composer, James Horner. Géza subsequently joined Hungarian star pianist, Havasi for special concerts with symphonic orchestra in the Budapest sports arena. Géza was accepted into the MA Irish Traditional Music Performance at the University of Limerick graduating with honours in 2014.